Save 20% on tickets with the code PCG. Are you curious about Phoenix Point? Well, the latest title from XCOM’s original creator, Julian Gollop, will be available to play during the PC Gamer Weekender—and the man himself will be on hand as a guest speaker on the Saturday of the event. More than just a return to what Gollop made his name in, Phoenix Point is a culmination of the veteran developer and his team at Snapshot Games’ experience over the past 30-plus years. Though at the same time it is a turn-based tactics game in which you fight aliens, so is also a return to what Gollop made his name in. Three factions, each with its own strengths and weaknesses, elements of 4X strategy, mutated abominations to battle—Phoenix Point has had everyone who’s seen it champing at the bit since it first hit crowdfunding site Fig in 2016, eventually raising around $750,000. With its appearance at the PC Gamer Weekender, you’ll finally be able to find out just why we’re all so excited. 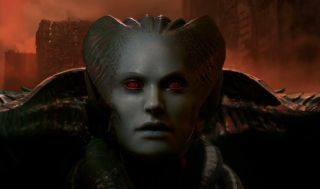 You can check out Phoenix Point’s Twitter here and its Facebook here, while a Discord room can be found over here. Those looking to keep up to speed with more video-shaped things can find those here. Phoenix Point will be joined by many more speakers, games and booths, all at the PC Gamer Weekender, which is being held February 17-18 at the Olympia, London, in the UK. For more details see the site, and follow us on Twitter for up-to-the-minute news. Tickets are available now from £12.99.